Shannon Platz is Global Vice President of Platform Ecosystem at SAP. She is responsible for partner sales and the go-to-market strategy for digital solutions including analytics, databases, Big Data, cloud, and Internet of Things (IoT) platforms and applications. In this role, she is responsible for product and commercial viability for the ecosystem, driving partner strategy and execution, and ensuring partner success and readiness. Shannon is a transformational leader who is passionate about customer, partner, and employee success. She believes in and supports the development of others to reach their full potential. She is a mentor, leadership coach, and diversity champion inside and outside of SAP. A published author and international speaker on analytics to drive competitive differentiation, Shannon serves on several boards and committees focused on the advancement of women. 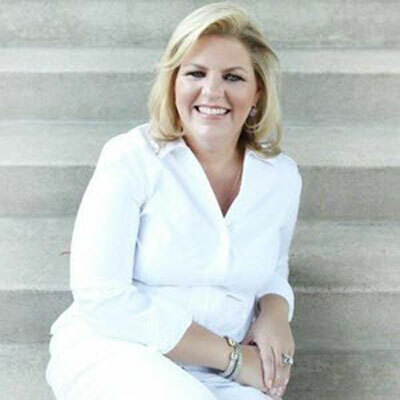 Prior to joining SAP, Shannon held executive and technical leadership roles with Oracle, BusinessObjects, private-equity start-ups, and Hewlett-Packard Enterprise. As a software engineer and data architect, Shannon is proud to be a woman in technology and is dedicated to increasing opportunities and empowering women in technology. During the past year, I have designed and implemented the corporate-wide process - Code2Channel - to ensure the channel and ecosystem routes to market are integrated into the product development life-cycle from code development all the way through the sales and support process. This approach has advanced the channel business through: • faster time to market •increased revenue growth, market penetration and expansion • accelerated product launch and adoption • growth in the customer base • intense focus and dedication to partner success The process implementation is a transformational culture change in the go-to-market, product marketing and management, and product development organizations and processes. The impact drives product specifications, technical assets and sales tools designed for partner success, marketing investment and campaigns, and enablement and training designed for the channel. The culture change ensures investments and prioritization of the channel with resourcing and budgets focused on execution and customer success. Addressing the needs of the channel and implementing global, tactical programs allows us to both improve our service level to the channel, and mature our organization to maximize all channel types for our most sophisticated go to market capabilities to date and to achieve the 2020 vision for the company. 1)channel productivity, 2)channel success, and 3)channel expansion. For channel productivity, the focus is analyzing and developing programs to improve partner performance, partner return on investment, and accelerate product adoption. With these insights, the channel will have the benefit of predictive analysis, "channel" digital twins to drive best practices, and to guide investments in marketing and resource development. For channel success and expansion, I am executing a holistic approach to serving the channel. Including profiling, recruitment, on-boarding, skills development, business planning, and marketing and sales execution. The goal is focused on channel retention and contribution levels, as well as partner satisfaction. Sandra McCarty Ballew was my first champion when I entered the professional arena. My admiration for Sandra began with her generosity to invest her time and energy to my career development. She encouraged and fought for my candidacy into the elite software engineering program to provide a foundation that led to a technical mastery and changed the trajectory of my career. Beyond her generosity, Sandra challenged me to be an innovator, change agent, and inclusive leader. She led by example for women to champion other women. Her commitment to me drives my investment in other women to honor her legacy. Risk more, be bold, find and appreciate your strengths focus on developing them rather than shoring up your weak areas. Value your uniqueness and realize your contributions to the world make a difference to others. If you can't be kind, be quiet. Life won't be easy, but it will be rewarding. You will do things and learn things about yourself that will amaze you. You are a force in the world - be a force for good. Value and respect everyone. Bring your game - you owe it to yourself, to those who invested in you, and to your "team". I would like to master the skill of integrating emotional intelligence with robotics and artificial intelligence. I believe the revolution around robotics will bring technical capabilities, speed and consistency to tasks, efficiencies and scale. In some of our most pressing human challenges, we must bring all technology advancements to bear in order to solve; but what and how tasks are performed must be coupled with why we do things and the situational awareness to ensure the best and most appropriate courses of action are taken. Deep Work by Cal Newport. The book drives home the importance of taking time for prioritizing and cultivating intense focus. It outlines practical approaches to intense concentration, distraction-free environments and outlines the benefits of working on a regular, committed basis to "focused, deep work ethic". The book includes guidance on how to train your mind and develop habits to support this approach to our work, skills mastery, problem solving, innovation, creativity, improve results, and elevate results. I enjoyed the challenges posed to the reader to develop this "superpower" of competitive advantage for talent differentiation and leadership excellence.